A global survey of supply chain managers indicates that aggressively managing costs and creating a flexible supply chain are major factors for businesses in successfully growing market share as the economy rebounds. Results also show supply chain managers are investing in systems and developing partnerships that enable greater visibility with their supply chain partners. 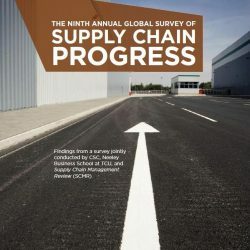 Conducted by CSC (NYSE: CSC), with the support of TCU’s Neeley School of Business and Supply Chain Management Review, the ninth annual Global Survey of Supply Chain Progress studied three factors believed to be critical to supply chains across visibility, analytics and flexibility. The survey results clearly show that supply chain leaders are building systems and developing partnerships that give them greater depth of visibility into a wider set of factors. 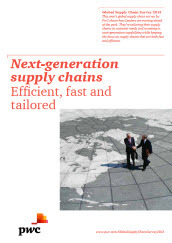 In 2010, CSC pulsed supply chain near the bottom of the economic downturn and found that supply chain managers were key contributors to stabilizing the abrupt economic down draft by aggressively managing costs and crafting a flexible supply chain to retain market share through increasing customer service. In the 2011 study, the results show the continuing importance of supply chain managers as the economy rebounds. • Companies with more visibility and higher quality data are outperforming rivals. • The combination of visibility and flexibility enables the greatest growth and profitability. • Leaders possess the flexibility needed to respond to new needs and opportunities revealed by their analytical tools. • Leaders tend to be early adopters of new technologies and planning systems. • Leaders influence revenue gain at double the rate of laggards. These key findings are among the most prominent from a global survey of supply chain professionals in manufacturing and services organizations representing every major geographical segment in the world including North America, Europe and Asia/Pacific. Respondents include both large and midsized companies, with sales in a range from $250 million to well over $1 billion. The number of employees varies from less than 250 to more than 30,000. • Cost management is a supply chain cornerstone in a competitive market position. This year cost reduction moved up from 6.0 percent to 6.9 percent in a rebounding economy. • The three-year average attributing supply chain’s contribution to revenue increased from 4 percent last year to 8.5 percent this year. • Leaders influence revenue gain twice that of laggards. • Leaders produce cost reduction in comparison to laggards (8 percent for leaders on average, versus about 6 percent for followers and laggards). • Leaders are 1.5 times more likely to promote supply chain leadership to a “C” level. • Leaders are twice as likely to position the leading supply chain manager as a direct report to a corporate officer (e.g., EVP, CSCO, COO). 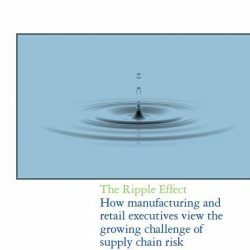 • Leaders tend to have broader and more global views of supply chain management. • Leaders are typically early adopters of new technologies and planning systems. Three aspects of supply chain collaboration and intelligence were surveyed: the acquisition of data, the analysis of data and how the combination was employed to create a responsive supply chain. 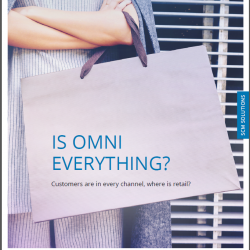 • 70 percent of respondents have upstream (supplier) visibility. • Less than 50 percent have quality downstream (customer) visibility. • Integrated business models have both higher quality and more complete data acquisition. • Leaders are twice as likely as laggards to be users of data analytics software. • Respondents in top 20 percent of their industry in terms of growth reported above average levels of visibility and analytics. • Respondents that consider themselves flexible grew faster and were more profitable than those in the opposite dimension. 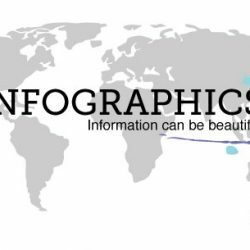 • Respondents that employed both information and developed flexibility in their supply chain grew in both revenue and profitability. • Growth continues to come largely in a shift in market share taking revenue growth from laggards.